Clapping Lines is a technique from the Daoist literary tradition of China. It promotes creative friendship through shared verbal images and the pleasure of just quietly sitting in tranquility. You do not have to think of yourself as a poet to enjoy Clapping Lines. You only need to be open, curious, contemplative and spontaneous. 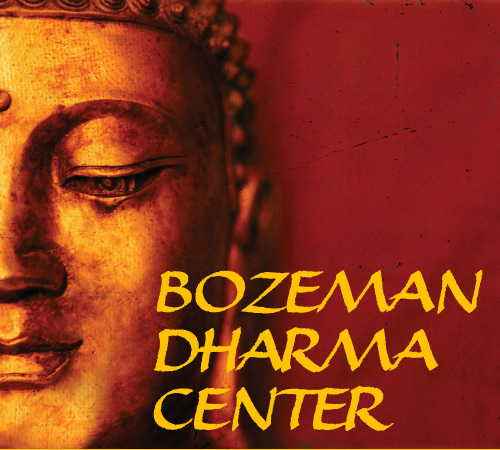 Suggested donation of $5 – $10 for the Bozeman Dharma Center. We begin as a small group sitting in silence. Usually a leader will recite established poems to set the stage. Then he or she will start the session by speaking a beginning line. Silence for awhile. Then, when a brief line of poetry arises in someones consciousness as a response to the first line they will clap their hands together and speak those words to the group. Then again the group continues sitting in silent emptiness until someone else has a response to the last line. They clap their hands and speak their line. Someone can be the scribe who will write down the lines as they are spoken. After 5-10 minutes the leader closes the session, and the freshly created group poem may be read aloud. Then the group may or may not discuss what was created. This meditative process is a unique way to become engaged with the making of poetry. There is no critique or rewriting of the poem. It is such as it is. Traditionally the initial line or image is tied to the current season. For example, in winter the first line could be, “The door was frozen shut”. Each line will be a mindful response to all the preceding lines. Clapping Lines is a way to use poetry as the object of meditation. It is a way to experience the moment to moment creation of art from a place of mindful tranquility and verbal inspiration. This class is a variation of a type of traditional Chinese poetry in which two or more people create a poem. Flavored like haiku and steeped in Ch’an Buddhism, this creative process emerges from a state of emptiness. Poetry has been a part of the Buddhist canon ever since the verse forms of the Dhammapada. The prose compositions of the Sutras are supplemented by the poetry of the gathas. Bai Juyi of the Tang Dynasty made Buddhism accessible to the Chinese people through his poetry. Milarepa ,the revered Buddhist, is thought be the greatest poet of Tibet. A complete study of the Dharma should include the poetic literature. While the subject of Clapping Lines is not limited to the Dharma, the creation of poetry from a place of emptiness can be a valuable addition to the practice of an individual meditator as a part of the sangha.